The following is a guest post by Jessica, a fellow "mommy who can't dance" that I met online through a POTS facebook forum. Reading her story, I see so many parallels to my own. Wondering what was wrong with me and why couldn't just push through, especially when I am used to doing hard things. Going from an active life to learning to accept imposed limitations. Focusing in on what is most important in life-- family. Not to give away the ending, but I just love what she wrote: "POTS didn’t ruin my life, but it definitely changed it, and not only for the worst.... Without it we may not have the reverence and gratitude we have now for good days or the gentle grace we have for bad ones." Lucky for me, there’s a darling little chocolate shop next-door to my favorite children’s consignment shop. Even luckier: it was a few days after Valentine’s, and the shop had a surplus of heart-shaped delights on sale! My 14 month old daughter, not-quite three year old son, and I popped in for a treat after searching the bins for second-hand shoes while my four year old was at preschool. I bought us a few truffles and found a table in the loft. We sat to watch the Seattle drizzle fall from our cozy perch. I wanted to enjoy the moment, but instead I was feeling weird again. I was a little nauseated; my head felt funny- like I might faint. The next morning I took a pregnancy test (though we were good about our birth control) just to see if that might be it. One night, my little girl was sick. She woke up crying, and I knew she needed a new dose of Tylenol. I ran downstairs to get it, and after I had drawn up the medicine I fainted into a chair. I could feel that I was going to go down. Once I was down, I roused quickly and called to my husband. I felt strange and sick for a few days. It was a beautiful May day. The endocrinologist’s 15th floor office waiting room looked out over my beloved city. I was nervous to meet the new doctor, but excited to maybe get some help. As had become normal for me, I felt awful: light-headed, exhausted, pain in all my joints, especially in my neck and shoulders. I would often hug the walls when I walked anywhere. I know now, three years later, that he was right. I don’t want POTS--and that is what I have. There is not currently a cure for POTS (Postural Orthostatic Tachycardia Syndrome), and little is known about it. My doctor helped me get started on a treatment plan, and eventually, we brought in a neurologist who also helps manage POTS. But, “manage” is all we can do for now. My life before POTS feels like a dream now. In my younger days, I was a professional ballet dancer. I know what it’s like to have a body that can perform to the extreme levels of physical ability. When I had my babies, I did drug-free, vaginal births. I was the fun mom, always having guests, big parties, and epic outings. With POTS, I was struggling just to get basic housework and errands done. I needed help with everything. I hired help for cleaning and cooking. I used grocery delivery services. I went from constantly having plans and seeing friends to being a hermit. Family members helped with childcare when they could. My kids started having way more screen time and, even as young as they were, soon understood how to spot whether or not mommy was having a “bad POTS day.” It was most difficult on my oldest son because he could remember what things were like before, and he was afraid I would die. Thankfully, POTS will not kill me, and he eventually believed us! I was a very high-functioning person before POTS came along, so the fall was long and hard. I was forced to endure a crash course in accepting help and, even more difficult, still loving and valuing myself. That therapist I had reluctantly began seeing became one of the best parts of my treatment plan, and I HIGHLY recommend that anyone dealing with chronic illness make counseling a part of her new life. It was difficult for me to talk with people about my illness; I didn’t want to become a burden, and I didn’t want to be marginalized. I was afraid people would begin counting me out without asking. But, I had to be honest. I backed out of my responsibilities one by one and left many casual friendships to rust. I couldn’t be everyone’s go-to girl any more. I learned to really love my relationships that were truly equal and restorative. I lost so much, but there were gains too. Saying “no,” just about killed me at first, but I learned to accept my new state of affairs and used the word more and more often. The value of “no” is all the “yes” it can free up! By saying “No” to my desire to keep up on my housework and people-pleasing, I was able to keep saying “yes” to my children. People would often ask, “Why don’t you just get a nanny?” If I had been bed-ridden all the time, I might have had to do that. I may yet need to do it in the future. But, I had enough health in me to still be MOM. I let other people do the things that just anyone could do, so that I could be there for my kids. I couldn’t take them on outings, even just down the street to the playground, but I could cuddle, listen, read, draw, play cars, mold play-dough, and do anything else seated! It was very painful and clunky, but eventually we all (me, my husband, my friends, my church) adjusted. We were on the last stretch of winding road on our way to our annual church camping trip. I was thinking of baby names. Being pregnant again sounded like a crazy, crazy idea. It had been about 18 months since my diagnosis, and things were finally feeling stable. Not great, but stable. 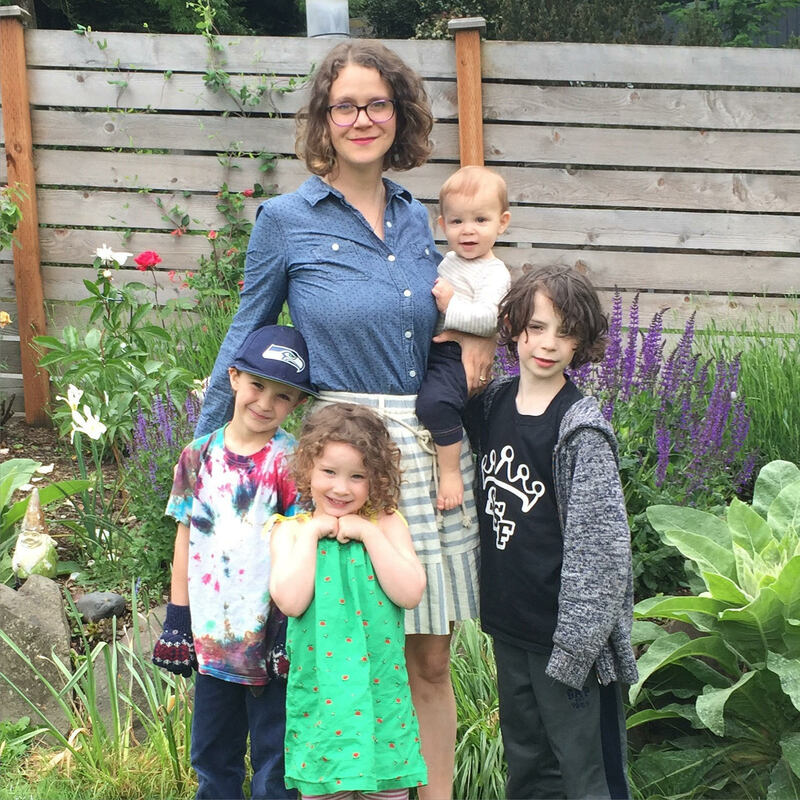 “I just can’t shake this feeling of wanting a fourth kid,” I finally blurted to my husband. “Oh. Wow.” he said. Yeah, I knew what he meant! 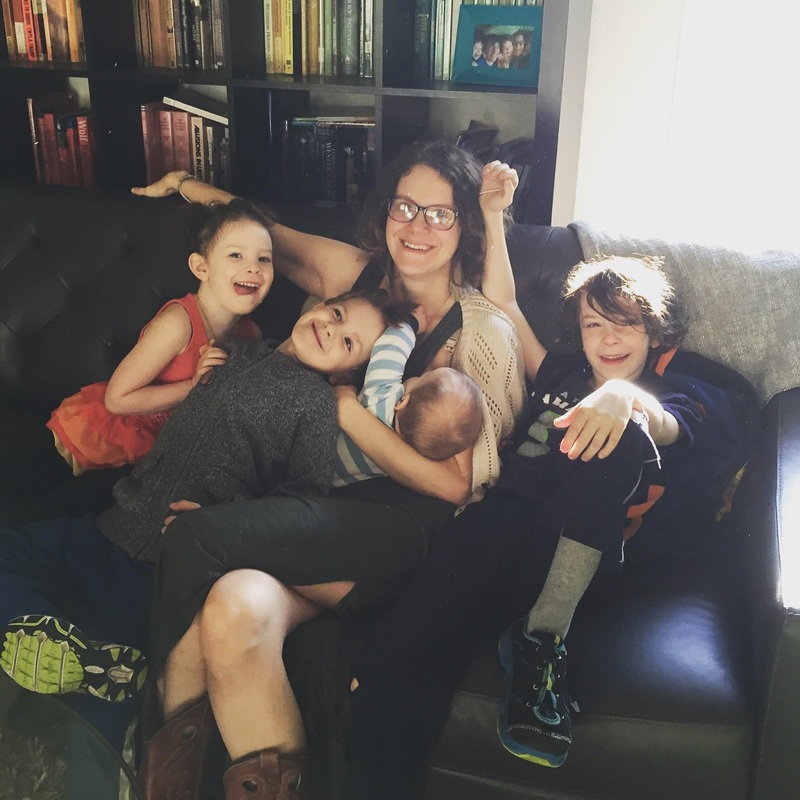 We had always wanted 4 kids, but POTS just made it feel impossible. After that weekend of camping, talking with my dearest friends and family, we decided to talk to some doctors. They all said, “sounds hard, but not dangerous.” That was all we needed. About 11 months later, Bran was born. From the end of my third trimester until he was 8 months old, I was basically symptom-free! The break from POTS was amazing, and the baby is even more so. There are so many of my dreams that have had to die; I was so glad we were able to still say “yes” to that dream of one more baby to love. When the POTS symptoms began to return, I was surprised by how hard it hit me. But, at least this time I had some training under my belt in adjusting, grieving, and accepting. Throughout my life, writing has been a great solace and continues to be so now. POTS didn’t ruin my life, but it definitely changed it, not only for the worst. I may have never realized how much I truly love writing, and we may not have the reverence and gratitude we have now for good days or the gentle grace we have for bad ones. I keep a blog at jeskybera.com. Here are some more articles I’ve written to help those who may also be suffering from upheaval, particularly those dealing with chronic illness.